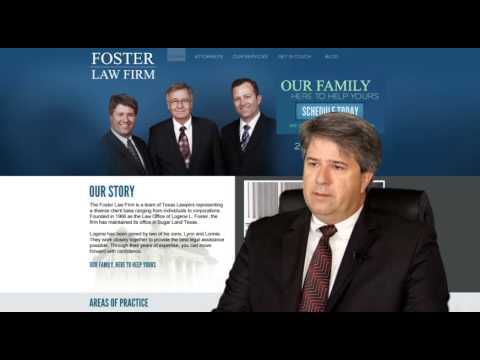 Foster Law Firm is a team of family and criminal lawyers located at 7838 Highway 90, Suite A, Sugar Land, Texas 77478. Founded in 1966 by patriarch Logene Foster, Foster Law Firm has been providing the Sugar Land, Katy, Houston, and surrounding areas with premiere law services in the areas of Family Law, Criminal Law, Juvenile Law, Wills and Probate and Personal Injury cases. Now the firm is a family operation after Logene's sons Lynn and Lonnie joined the organization. Together they work to provide the best legal assistance possible.